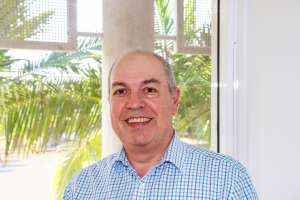 Philippe Moll is bilingual (English and French) and can interact confidently with people from diverse cultures since his personal/family life and professional experience span five countries including some Pacific Islands. His therapeutic approach draws upon a broad range of evidence-based therapeutic interventions such as CBT, ACT with a special interest on Mindfulness. His therapeutic style can be described as non-judgmental, humanistic, with a clinical focus on the individual’s unique needs. Philippe values the importance of the family, as he is himself married with three children. He also feels comfortable in dealing with all age groups. He has enjoyed helping children/adolescents with developmental difficulties such as AD/HD, learning disorders, or ASD (e.g., Asperger’s Syndrome). He has gained valuable experience in administering neuropsychological tests – and conducted therapy – to both young and older people. Philippe Moll has developed professional interests in older adults, in individuals with neurocognitive disorders (e.g., dementia) and/or with depressive and anxiety disorders. His professional experience/interests encompasses working with adults affected by psychotic symptoms, substance abuse, anxiety and depression, bipolar disorder, emotional dysregulation, grief and loss, traumas including posttraumatic disorder (PTSD), and relationships difficulties. At the community level, Philippe has been involved in compassion-related services and welfare projects.